After a disputed election, seven Thai parties have united to form the "democratic front" in a bid to block the military from claiming power. 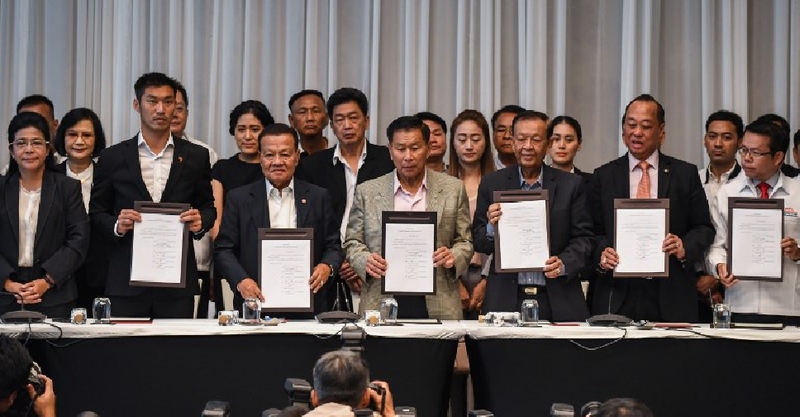 Led by Pheu Thai, the seven parties claimed to have secured a majority in the lower house of parliament, insisting they are now entitled to govern. Pheu Thai leader Sudarat Keyuraphan described the election as “questionable” but said the coalition would work for “the country’s benefit”. This comes amid concerns about potential irregularities in Sunday’s vote, with official results not due until May.